When I finally got them on with the help of some old ball ends I had fortunately saved, I still had to bend the sharp core wire down with a screwdriver to stop the bleeding in my hand when I palm mute... all this on my prized 1970 Maple Jumbo. These have obviously been handwound by some unskilled, low paid labourer who doesn't give a damn and should go work for Mercedes Benz or Bmw or Volkswagen so I never have to deal with this crap ever again. The problem is mostly with the way the ball ends are finished as well as the cut end which can also injure you whilst threading through the post and I just bought 2 sets of these. The winding has also seperated from the core wire where the G string has been tied off. 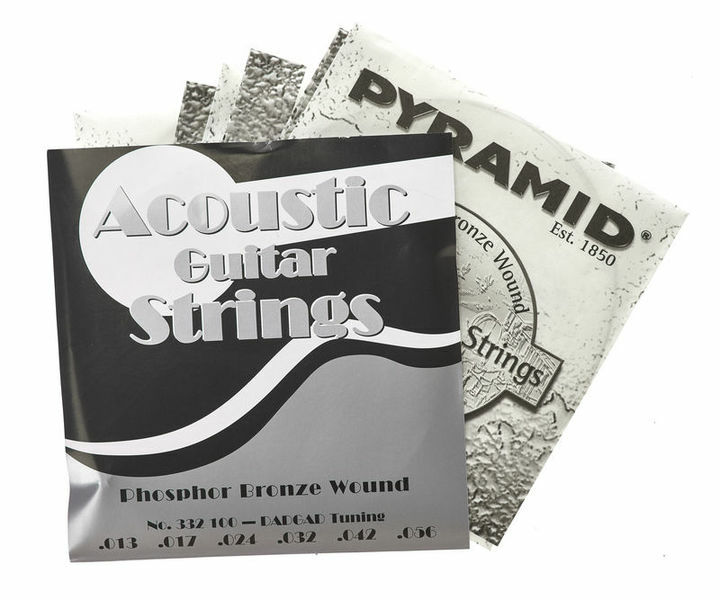 The quality of Pyramid strings are proving to be very hit and miss and this is the final nail in the coffin for my Pyramid history. I don't think I will be bothering with them after these are dead. The shoddy workmanship on these is inexcusable. The local guitar teacher seems to think you cannot be a guitar builder and a guitar player at a top level. Now I know why he said that. It is hard to play with injured hands. Grrrrrr. The strings are not bad. But for those who want a brighter sound I think this is not the best option. Quickly lose clarity. However, they have a lot of harmony between the midrange and bass. The sustain is very good at the beginning, but as I said, soon the sound loses clarity. when they are young are very good. The price is good, however I did not use to play live. ID: 223056 © 1996–2019 Thomann GmbH Thomann loves you, because you rock!